Today’s economic difficulties and talent shortages are leading companies to hire virtual talent in different cities, state, countries and continents. The average virtual web team might have some programmers in India, some mobile apps developers in the Middle East, a designer in New York and a content team dispersed across multiple home-based locations. It is one of many virtual team scenarios that exist today. But, for those of you who have already hired your virtual team and are being expected to deliver mission critical projects using them, I have also prepared some tips on how to manage, engage and motivate virtual teams. You can find these below. Research from INSEAD, reported in Forbes, suggests that while loose leadership can work well with co-located teams, virtual teams need a leader who offers clear direction and eliminates ambiguity from the processes in order to work at their best. This means virtual teams need detailed job descriptions with clearly delineated goals and responsibilities. The decision making process of your global virtual team members may very much be linked to the cultures that they live in. Therefore, for decisions to be understood and more easily accepted, global virtual teams need to develop an explicit description of how decisions are made. The most effective virtual team leader will have a flexible approach to the decision making process and will be prepared to try out different decision making processes. Many global virtual teams still engage in face-to-face meetings at various points of the calendar year. In fact, research by Maznevski, Chudob, Carmel shows that face-to-face meetings are crucial for building cohesion in a virtual team, especially in the early stages of a team’s life. They also found that for maximum motivational and cohesive effect, face-to-face meetings should occur at predictable times and intervals. This gives people time to discuss complex and/or delicate issues in person. Research from Crampton has shown that dispersed/virtual teams do not have a shared common understanding, which is needed to work effectively in a virtual setting. This situation is compounded by the fact that virtual teams do not engage in much spontaneous informal ‘water cooler’ conversation. This helps develop shared understanding, which is needed for virtual teams to work effectively together and be collaborative. Companies should not assume that collaboration will occur automatically in virtual teams. This means that this informal social interaction must be in some way engineered by leaders and supervisors and one way to do this is to make use of collaborative social tools like Yammer and encourage their usage in both a social as well as professional way. 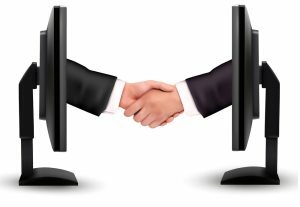 In fact, training on how to collaborate effectively in virtual teams should be provided to virtual team members to maximize productivity. As you can see, working in virtual teams does present unique challenges, but it can generate significant rewards if executed correctly. With appropriate planning, effective communication and a flexible attitude, companies can build high performing virtual teams.